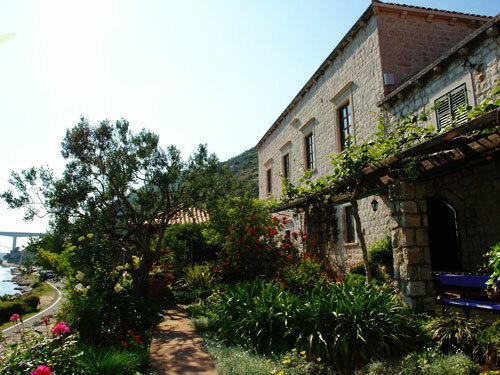 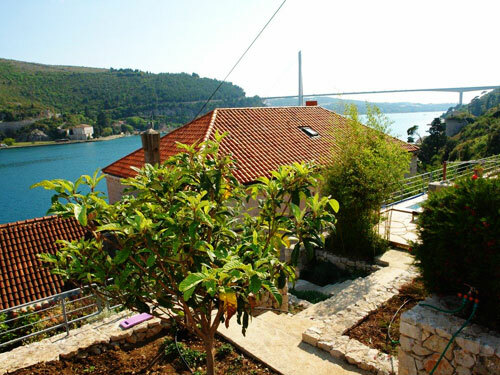 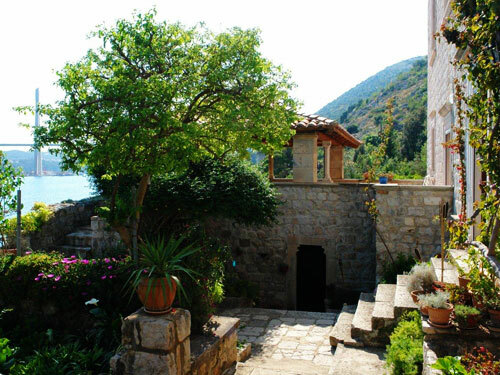 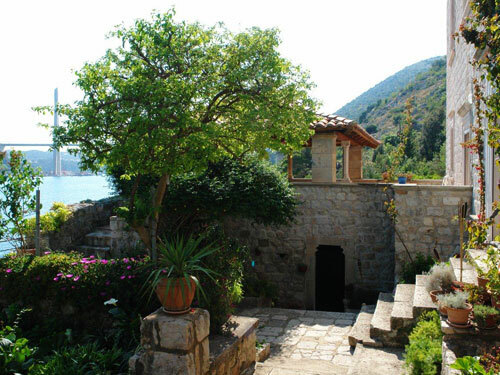 Villa from 16 century on Dubrovnik River shore In this villa you will experience history in vivo and feel like part of an old story which has lasted for five centuries. 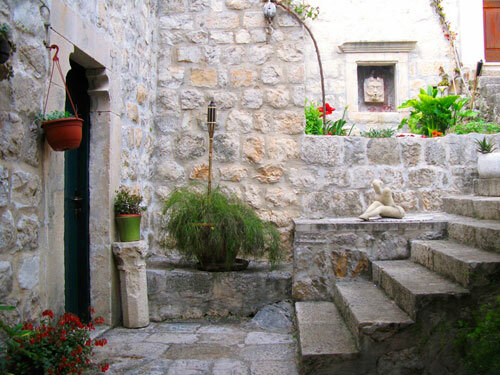 For centuries the leisure life of Dubrovnik nobility took place in summer residences of Rijeka Dubrovacka, situated close to the sea, in beautiful surroundings which gave joy to the eye and great pleasure to the body and mind. 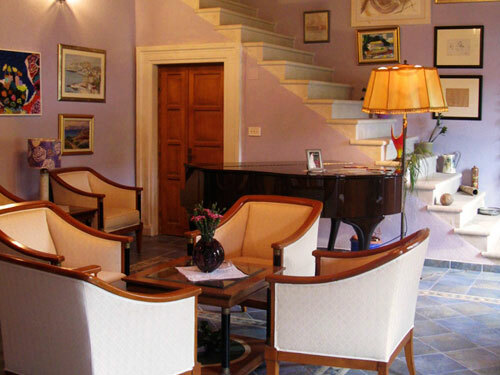 With its modern facilities, villa offers a complete leisure experience to a family and their friends with its magical grounds, open and covered terraces, picturesque gardens and background sounds of birdsong and the sea lapping against the shore, accompanied by the scent of basil and lavender. 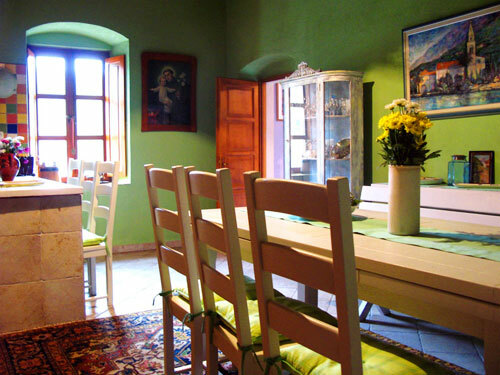 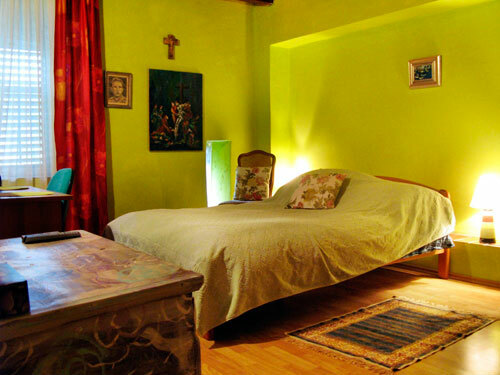 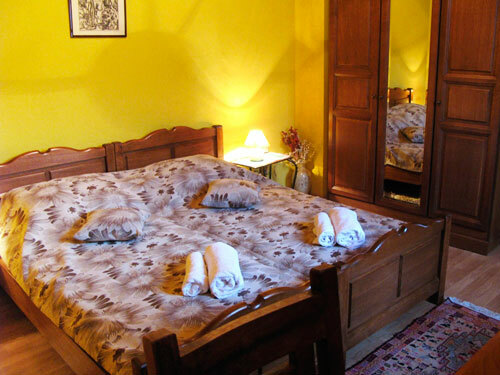 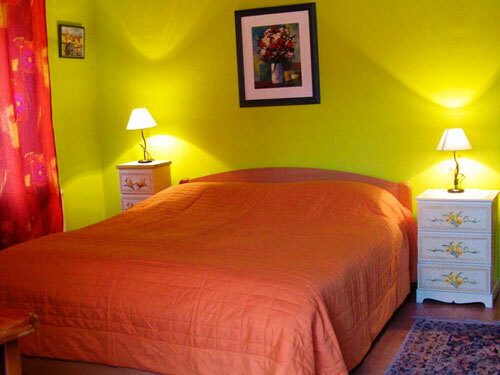 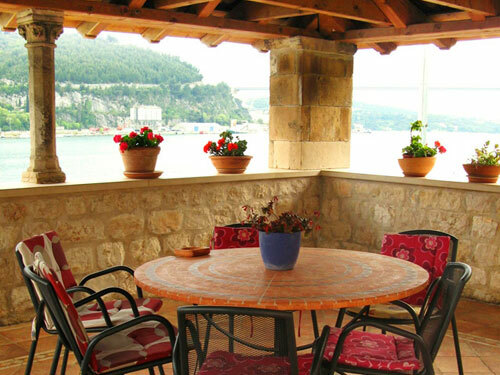 In this villa you will experience history in vivo and feel like part of an old story which has lasted for five centuries. 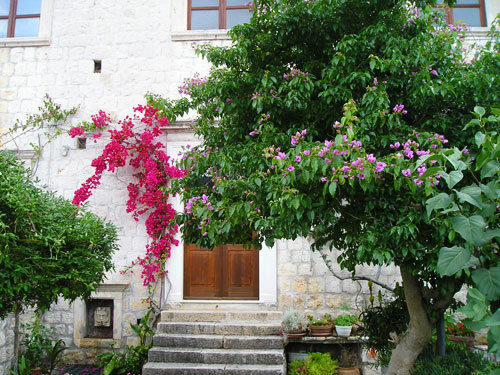 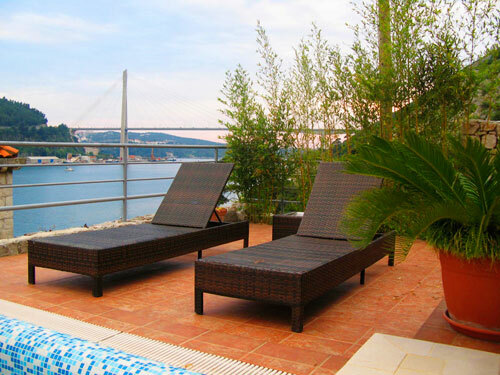 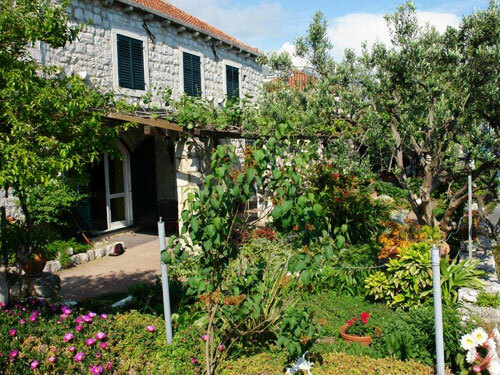 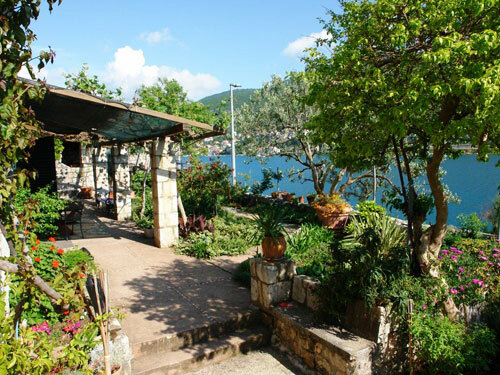 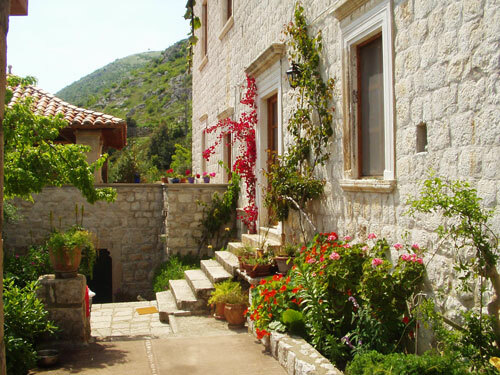 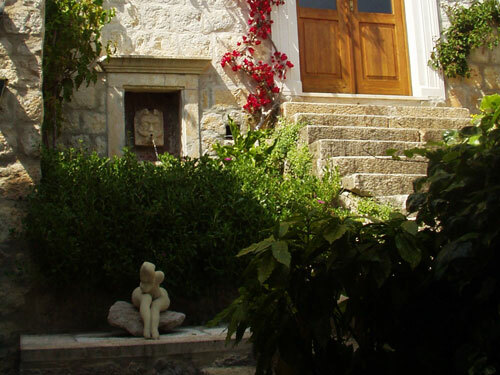 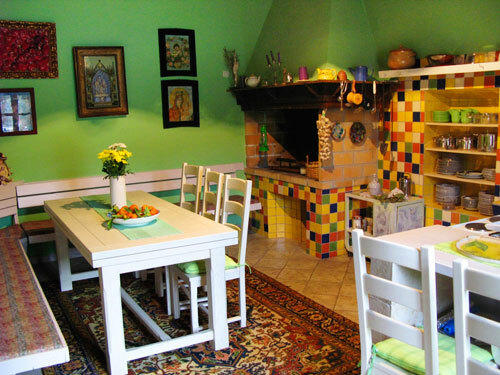 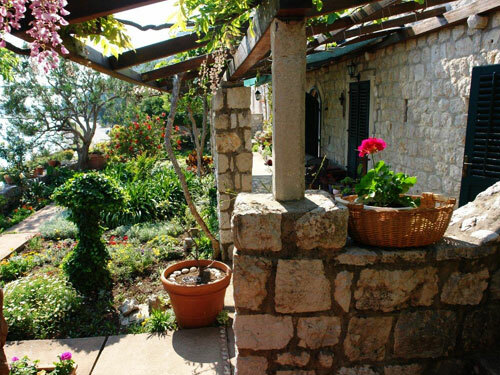 This Dubrovnik villa offers accommodation to 10 guests in five bedrooms en suite with bath, living room, original kitchen and dining, summer kitchen and grill, large gloriet, several open terraces, cultivated gardens and parking place. 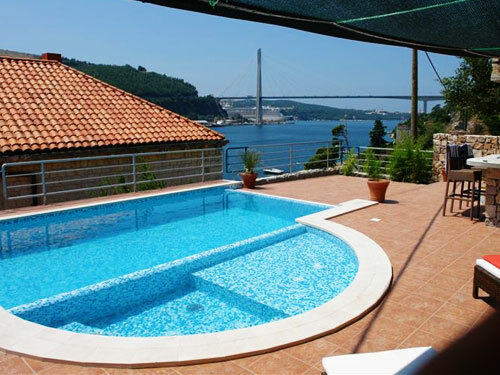 External stairs lead up to the swimming pool and jacuzzi. 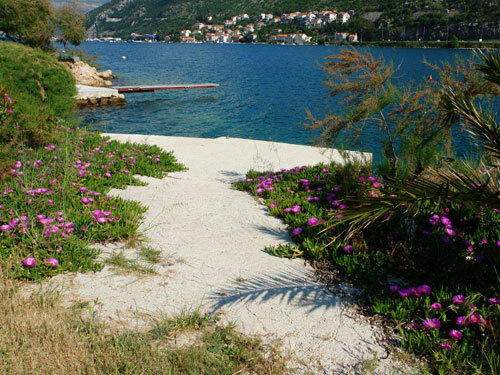 Private beach is in front of the house. 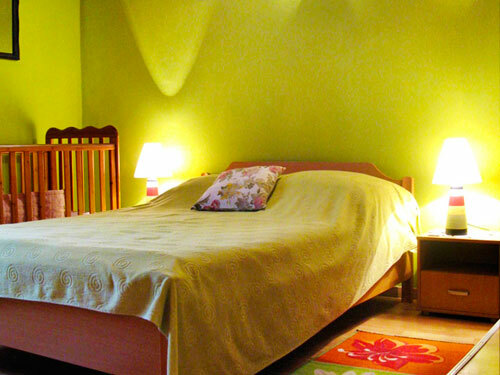 Maid service available on a daily basis. 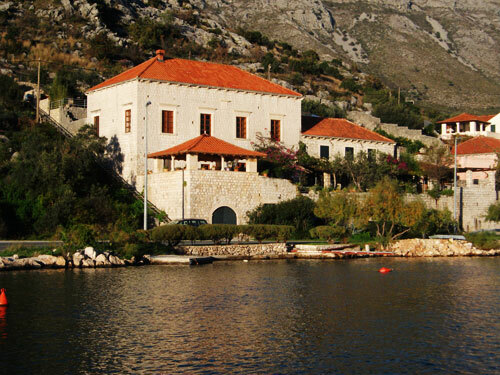 All further services are available on request including boat charter, car rental, breakfast and dinner service, sailing boat, bicycle, ping pong, sea-skiing.